A new era of innovation is taking place in the automotive industry and you are the benefactor. It wasn't that long ago that back up cameras were unheard of, going “hands free” was a dangerous thing you did to scare your friends, and navigation involved unfolding these huge things called MAPS. Welcome to a new era where convenience and innovation are at your fingertips. GPS/Navigation Systems - honestly how did we ever get anywhere before built in navigation was available in our cars and on our smartphones? Now all you have to do is type or speak your destination and your route door to door is brought up right before your eyes…magic! Hands Free - the invention of the cellphone brought a whole new risk with it inventors didn’t account for: distracted driving accidents. Being distracted while on a call not only increased auto accidents, but exploded with the next generation of cellphones with texting and internet capabilities. To combat these risks the automotive industry developed hands free technology to let you to call, click, and/or text without having to look at a screen or be distracted. Safety - Earlier this month we discussed many of the innovations that have come to the market. By now, chances are your vehicle you drive has either a backup camera or curtain airbags in addition to standard airbags. 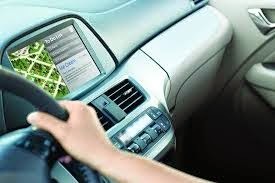 However, safety technology has taken a gigantic leap forward through brilliant technologies such as automatic braking, backup warning sensors, blind spot technology, adaptive cruise control, adaptive headlights, and a myriad of other features to help keep you and your family safe on the road. Infotainment - It’s hard to say who coined this phrase but infotainment has all but invaded every aspect of new and upcoming vehicles…much to our delight. Whether it’s satellite radio, a movie to keep the kids quiet, or updates on weather and road conditions, “there’s an app for that” has now gone from your smartphone to your car. Speaking of which there are many smartphone apps that allow you to interact with your car, find the best gas price in your vicinity, and remind you to schedule that maintenance appointment you keep putting off. Infotainment is here to stay and we couldn't be happier. If you are looking for the best new or used cars Olympia, WA has to offer with the latest technology look no further than the Olympia Auto Mall. Our technology experts will help you find the right car, at the right price, with the right amenities. Our selection and customer service is second to none! I agree. The technology used in cars are so advanced that it will only be a matter of time before they will create cars that have a heads up display simulation. I hope manufacturers can come up of ways in order to make electric cars cheaper. This blog post is engaging and I love checking out about this type of information. Trending subjects like fashion, friends, car loans, home renovation and even online shopping are always helpful and I absolutely recommend checking out this type of updates. Thank you for the information!